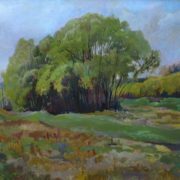 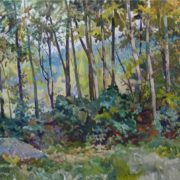 He has participated in regional and city art exhibitions since 1951. 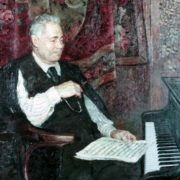 In the 1968-1970’s he became a member of the board of the regional Union of artists of RSFSR. 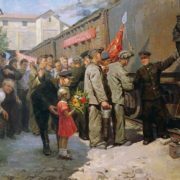 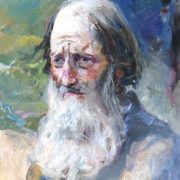 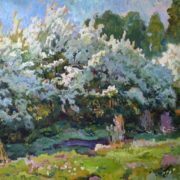 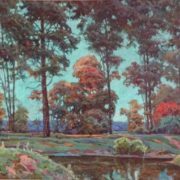 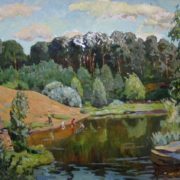 Among the works created by Vasily Andreevich Neyasov, are famous works in easel, monumental and decorative painting. 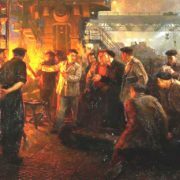 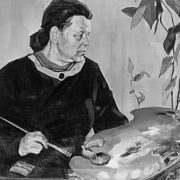 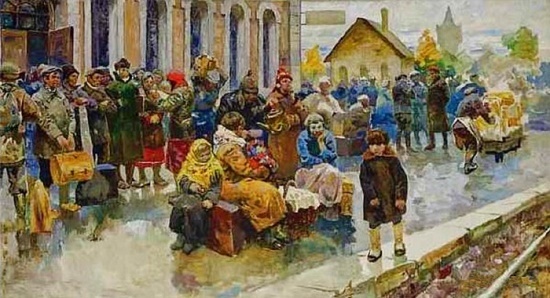 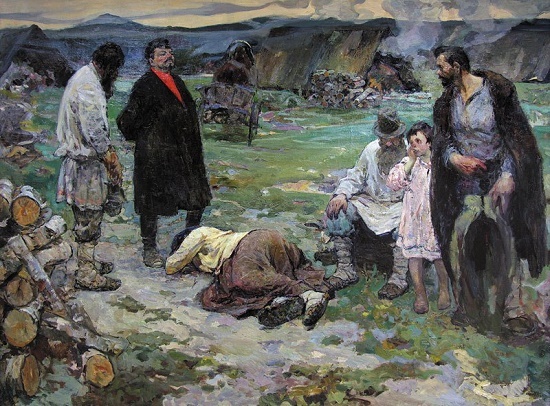 In particular, “Portrait of the Folk Taleess Bezubova” (1948), “Mastering the New Process” (1953), “Woe to the Ore” (1954), “Portrait of Honored Artist of the RSFSR singer V. Shkarin” (1966) ), “Portrait of Honored Artist of the RSFSR ballerina L. Ratenko” (1966), “Guardsmen of the 63rd Ural Volunteer Tank Brigade” (1979), “On the Construction of the First Five-Year Plans” (1966), “Portrait of the People’s Artist of the RSFSR” (1984), the panel “Harvest” (1950’s), and the panel “Deer” (1964). 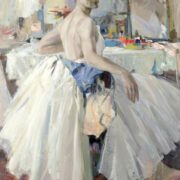 In the 1960s, while living and working in Chelyabinsk, he created a series of theatrical portraits of solo dancers, singers, musicians of the recently opened MI Glinka opera and ballet theater. 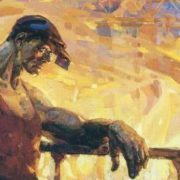 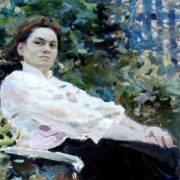 And today his portraits of L. Ratenko, V. Dikopolska, V. Shkarina, I. Zaka are precious pictorial and profound psychological characteristics of artists, and people of art. 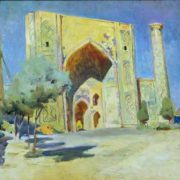 Many new impressions and ideas gave to the artist trips in 1963 and 1965 to Central Asia. 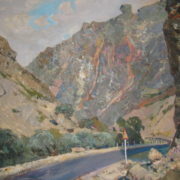 A large number of landscapes, etudes are distinguished by genuine picturesque freedom, elegance and decorative luxury. 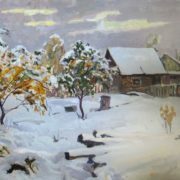 In the artistic culture of Chelyabinsk 1950-1970’s. 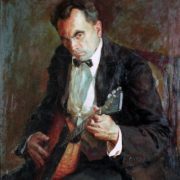 V. A. Neyasov – the figure is bright and significant. 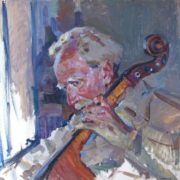 He was a collector and creator of talents and talented initiatives. 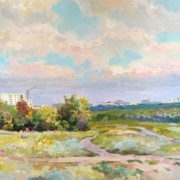 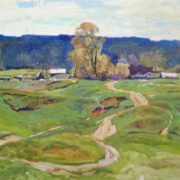 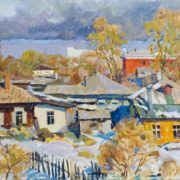 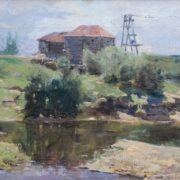 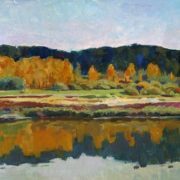 Vasily Andreevich came up with the idea of ​​creating on the outskirts of Chelyabinsk a small town of artists with workshops, and the first to build a house in a village of Sever-Krymskaya. 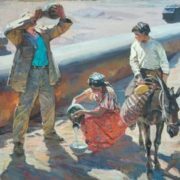 A painter with a life-affirming worldview VA Neyasov left so much to his descendants in art. 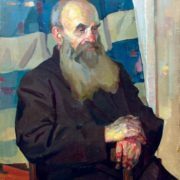 Vasily Andreevich died on October 7, 1984 in Chelyabinsk. 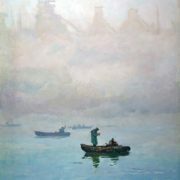 The personal exhibition took place in 1984-1985, in Chelyabinsk. 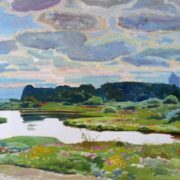 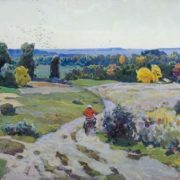 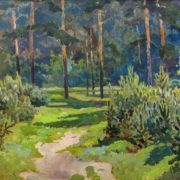 His works are in the Chelyabinsk Regional Art Gallery, in the art museums of Saransk and the cities of the Urals, private collections in Russia and Europe.